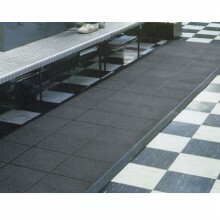 As a business owner, it is very important to keep your customers happy, but there is also often a direct relationship between satisfied customers and happy employees. 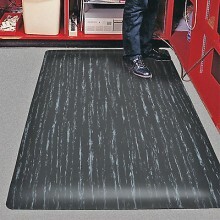 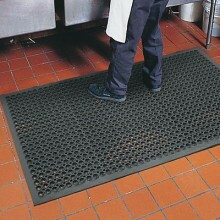 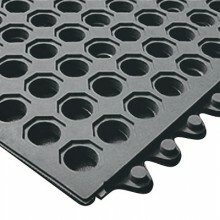 Anti-fatigue mats serve multiple purposes to keep your hard working staff safe and comfortable. These mats are ideal for a variety of locations in the kitchen, helping to reduce foot and leg fatigue, back pain, and provide a slip resistant floor surface. 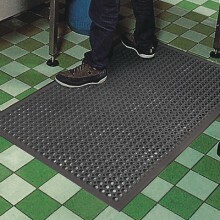 Preventing slips and falls due to greasy or wet floors is an easy way to increase the safety of your workplace. 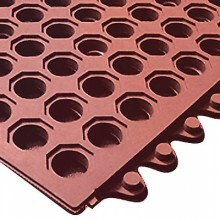 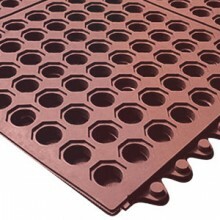 We sell anti-fatigue mats in a variety of materials, sizes and shapes, and offer mats specifically designed to withstand the abuse of grease and commercial use.